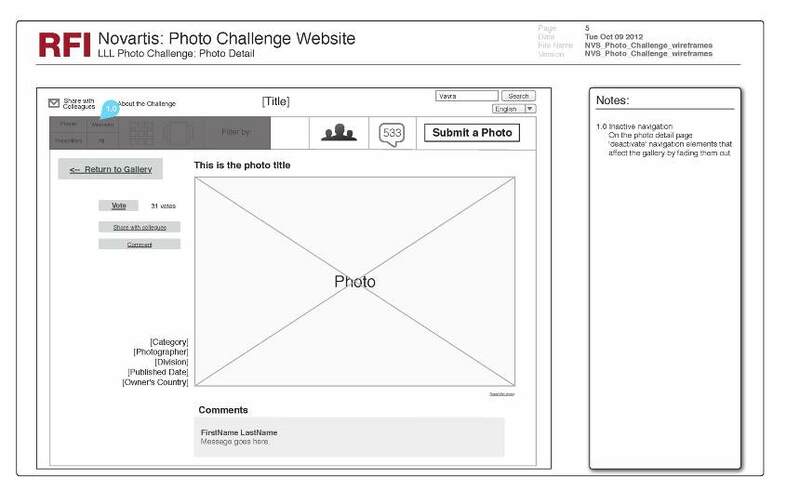 The Novartis Photo Challenge was a employee engagement initiative that allowed the global workforce to upload photos that best conveyed the companies missions. To accomplish global participation the site had to be translated in 14 languages and teams of moderators in the native speaking languages were trained to support the challenge. I led the design of the project for RFI which included flying to Basel, Switzerland for a kick-off workshop with the client's experience and technical teams to ensure that the designs followed the constraints of their employee verification systems. During the 2-day workshops we sketched our ideas as we discussed the systems they have in place. 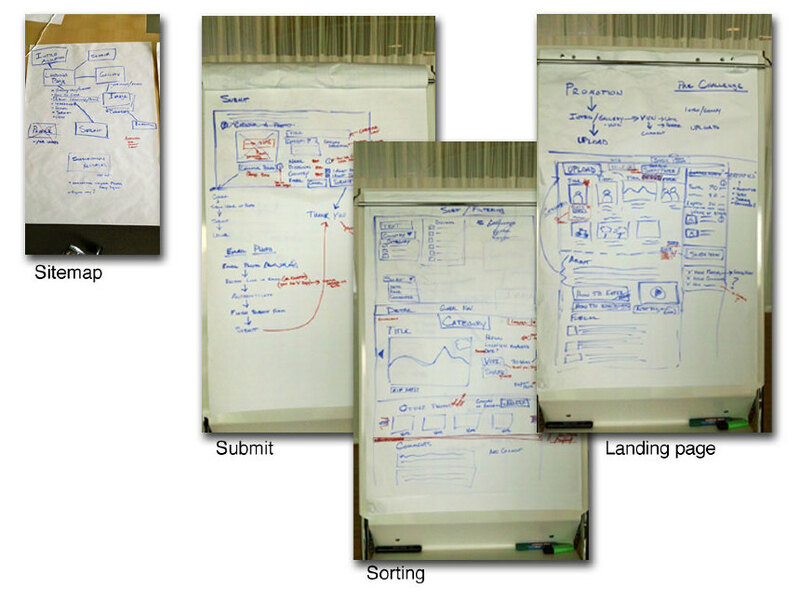 The sketches provided our wireframes an understanding of the technical constraints that would have required multiple revisions. 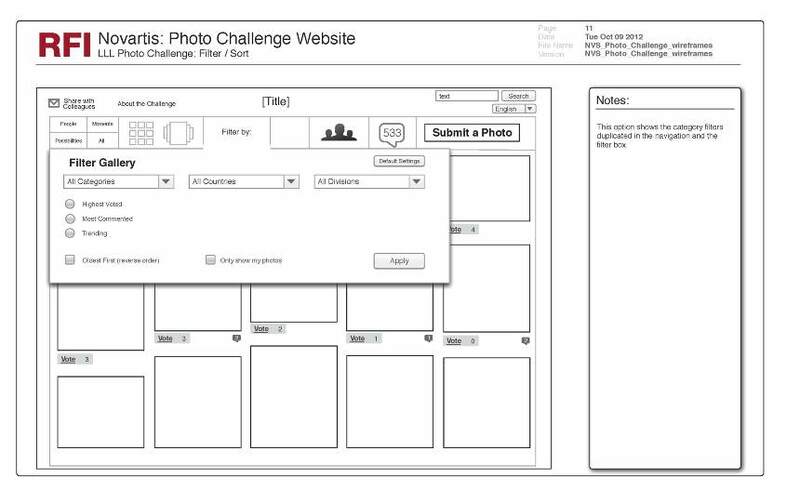 By saving time during the wireframe stage we quickly moved into designs and were able to prototype user interface patterns for our client prior to beginning development. Instead of the typical delayed moderation system employed by most pharmaceutical projects we deployed the ability for users to 'report' comments which would then be reviewed by moderators. Since this was an employee initiative and all comments were associated with the employee's name we found that there were almost no reported comments and hope that this system can be used more broadly in the future.